We love design, we love originality, we love Anca Motion’s new website! 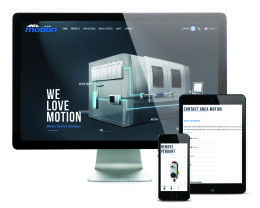 Our talented designers and developers have just finished a huge website design project with Anca Motion. Our design is sleek, interactive and ultra-modern to catch the eye of Anca Motion’s Australian and International trading partners. The finished website works to bring Anca’s innovative designs and technical expertise on all things motion and motors to life.